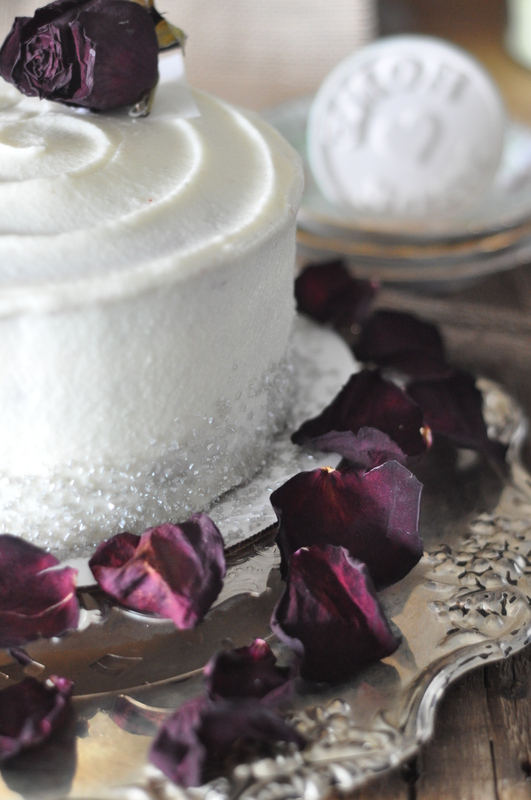 Valentine’s Day is just 3 days away and I have my second round of Valentine’s Day desserts to share. 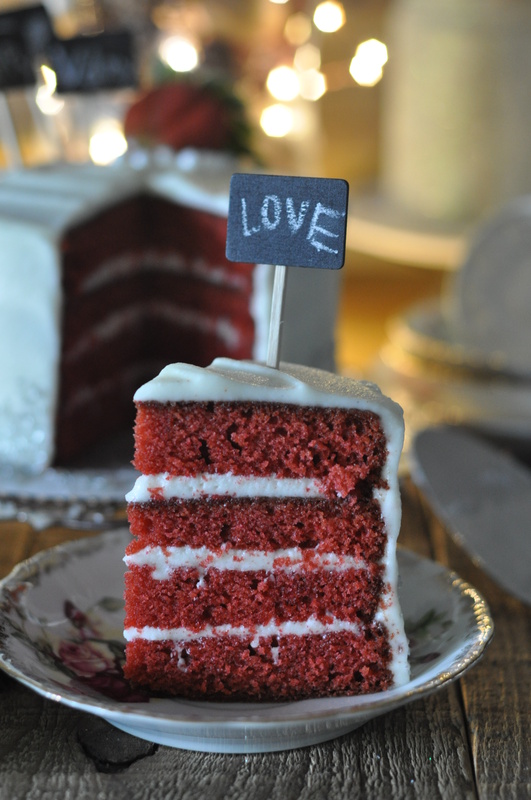 I’m sure red velvet everything is showing up on Pinterest boards as people are most likely trying to plan what to make. 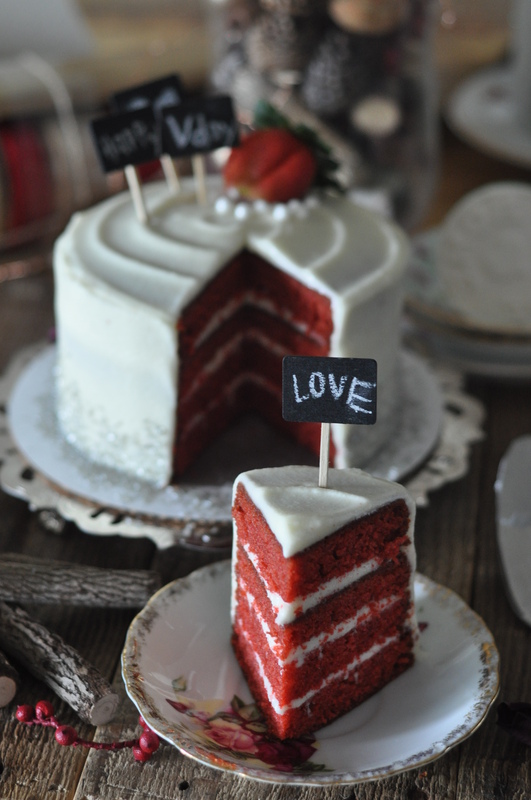 I knew the red velvet cake was on my agenda for Valentine’s Day, as this is what I’m bringing to work to share. 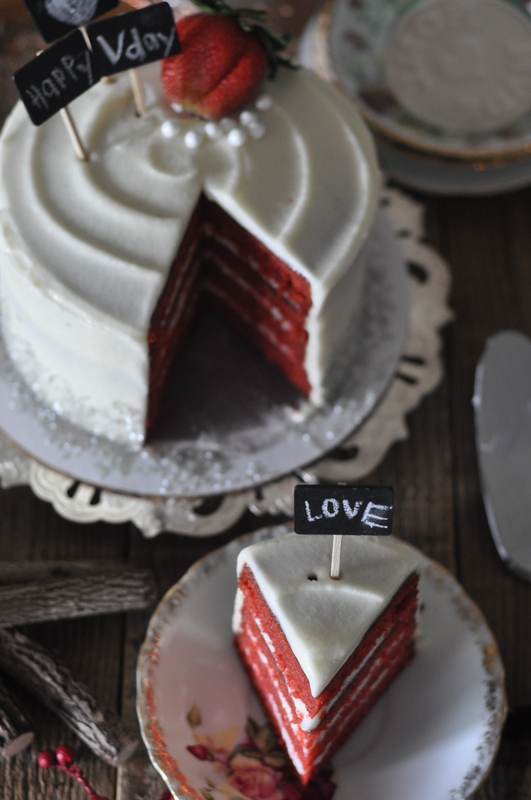 It’s a simple cake and you can’t go wrong with a classic red velvet. Add the food coloring until desired shade of red is reached. In a separate bowl sift together the flour, baking soda, salt and cocoa powder. Divide batter evenly into prepared cake pans, about halfway full. Bake at 350F for 20-25 minutes. Cake should be done when it springs back from touch. Or insert a toothpick in the center and if it comes out clean, then cake is done. Yield= enough to frost a 4 layer 6-inch cake. Divide cakes, lengthwise, into even layers. 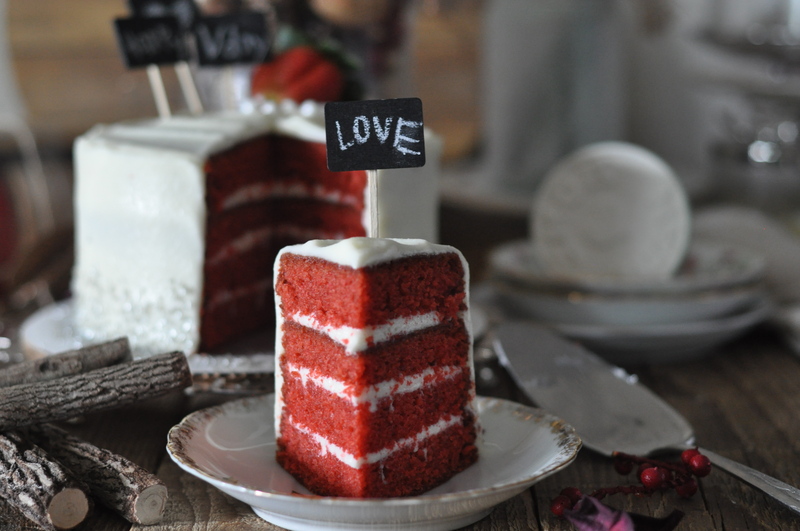 The cake recipe will yield more than 4 layers, so feel free to make the cake taller. (I went with four layers). Spread cream cheese frosting on the first layer. Add the second layer and repeat with the frosting. Repeat with other layers.